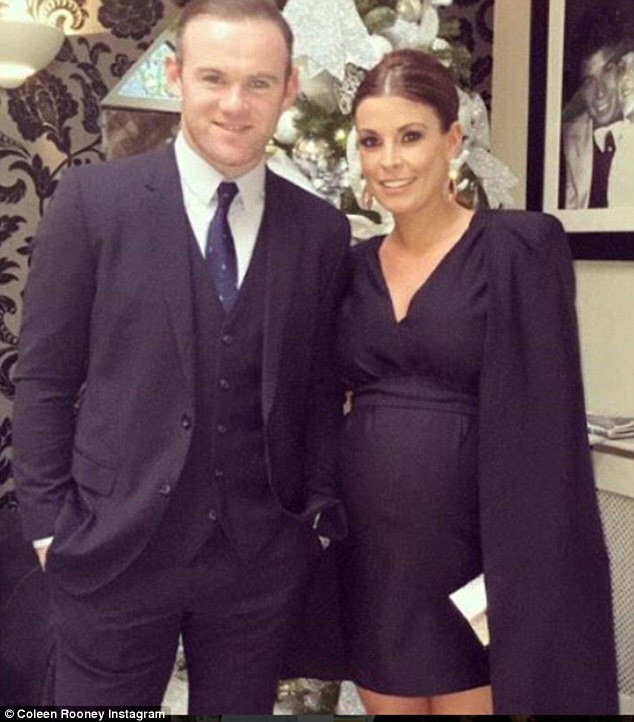 One of my favourite mums-to-be has to Coleen Rooney. Considering she's married to a multi-millionaire she seems remarkably grounded (apart from her luxury holidays of which I am not jelaous one bit). She's been featured alot in the tabloids over her pregnancy, but not in a contrived way. There are "celebrity" expectant mums who feel the need to flaunt themselves and share every moment of their lives with the weekly glossies and papers, but Coleen doesn't. Coleen has mostly been pictured out and about in her gym gear running errands, showing popping out for a pint of milk isn't beyond her. Naturally she still scrubs up really well too and looks very classy in this New Years Eve picture she shared. It's reported she's not got long left to go now, and hopefully this time it'll be a girl for the Rooney's. Maybe if I was this rich I could look as polished? !